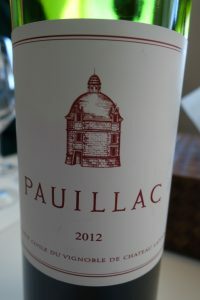 Rich nose very typical of fine Pauillac. Classy “inky” and deep cassis aromas. Starts out surprisingly soft on the palate, then changes pace to reveal the finest imaginable sort of acidity. Springwater-type purity with tertiary (already) red and black fruit. Interesting textured aftertaste. Lovely very long finish. A superb second wine. The bouquet is undefined and obviously too young. It is nevertheless ethereal, and promising. The wine is fresh, big, and sinewy on the palate with great blackcurrant flavors. Both tannin and fresh acidity – the hallmark of the 2016 vintage – spread out over the palate, working into a long, classic aftertaste with a velvety texture and cedar overtones. Bit dry on the finish. 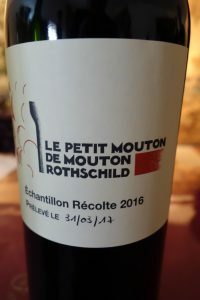 Mouton can be uneven, but this one is a real winner. It is a virile wine, on the massive side. Revisit a few decades from now. Medium gold color. Showing a good aromatic equilibrium between grape varieties as well as some spearmint overtones and a certain waxiness. The wine is full-bodied on the palate and seems ever so slightly sweet (although it may not be). Medium body and some minerality on the finish. A good wine, but not in the same league as the reds. 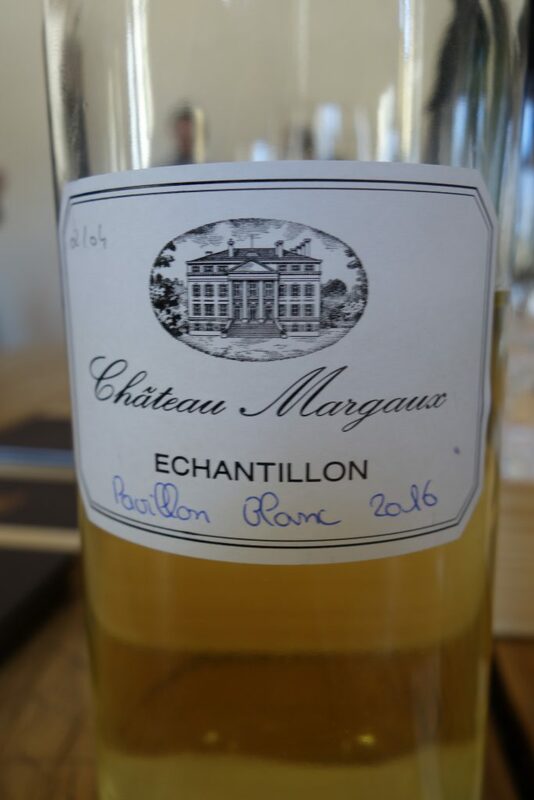 Posted in Tasting notes and tagged bdx16, Bordeaux, bordeaux wine, bordeaux wines, BordeauxWines, Médoc, Pauillac, primeurs2016 on April 14, 2017 by AlexR. 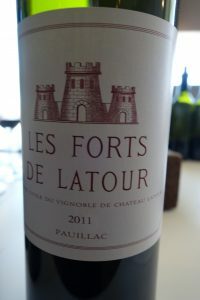 Château Latour stopped selling on a futures basis beginning with the 2012 vintage. They nevertheless invite professionals to taste the new vintage every year just like all the other châteaux. In addition, they pour older wines that have been released on the market on this occasion. 2016 Pauillac (54.6% Cabernet Sauvignon, 38.9% Merlot, and 6.5% Petit Verdot): I must admit to once again being very taken with the Latour’s third wine. 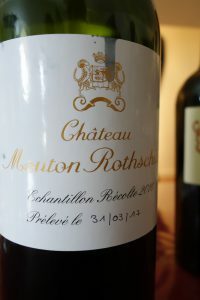 Even if rather subdued at present, it shows ripe, sweet, plummy, blackurrant preserves on the nose and reflects its terroir – a sort of apotheosis of Cabernet Sauvignon, even at this level and despite the much lower percentage of that variety in the final blend compared to the grand vin. It may be a tad weak on the middle palate and does not have quite the breadth of the latter, but is a very good wine. This is unsurprisingly one step up from the Pauillac AOC. It has a nice, fresh, promising nose with a slight, not unpleasant herbaceousness, as well as a meaty quality. The wine is big and spherical on the palate and spreads out with considerable richness. Les Forts displays the 2016 sweetness along with decent grip, great acidity, and a dry mineral aftertaste. The finish is layered and velvety. 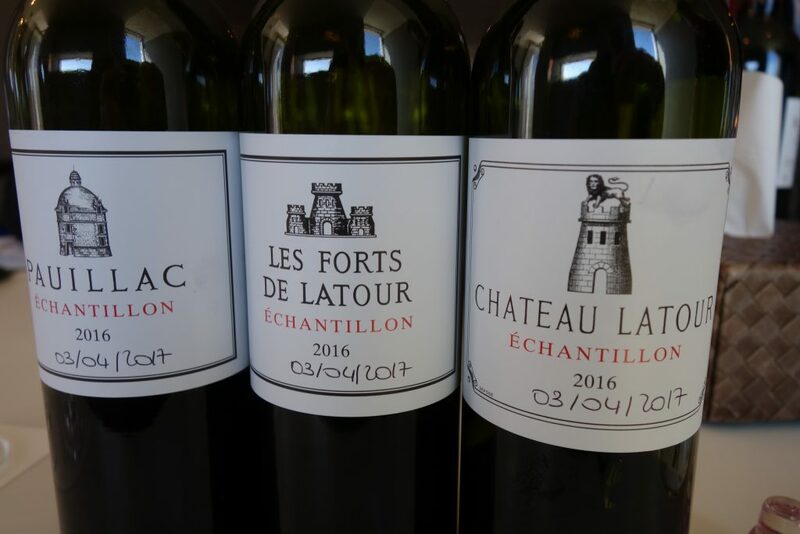 2016 Château Latour (92.9% Cabernet Sauvigon, 7.1% Merlot) – The bouquet is at the same time seductive and aristocratic, with violet overtones. Divine. To say the least, the wine has good structure on the palate. Very much the “iron fist in a velvet glove”. Big and develops with self-assurance and grace. The tannins coat the teeth and the aftertaste goes on and on. If this is a monster, it is a very well-behaved one… Superb potential. This wine looks older than its years and the rim is just starting to brown. It already has a nose of lovely aged claret with a trace of cocoa. There is also a definite greenness, the effect of a late-ripening year, but it fits in somehow. The wine is somewhat thin and angular on the palate, but the Latour style is definitely there. Austere. A Bordeaux for Bordeaux lovers. Others might be put off. Relatively long aftertaste, once again mineral. Very deep youthful color with an uplifting bouquet of red fruit, menthol, and graphite. Already quite expressive at this age. The wine starts off round and attractive on the palate, then dips somewhat before coming back with a deep mineral aftertaste. There is a slightly dilute quality to the wine, but this is redeemed by the forceful aftertaste, which is very dry. Not the greatest balance, but bears the unmistakable stamp of Latour’s terroir. This looks perhaps five years little older than its age (twelve years). 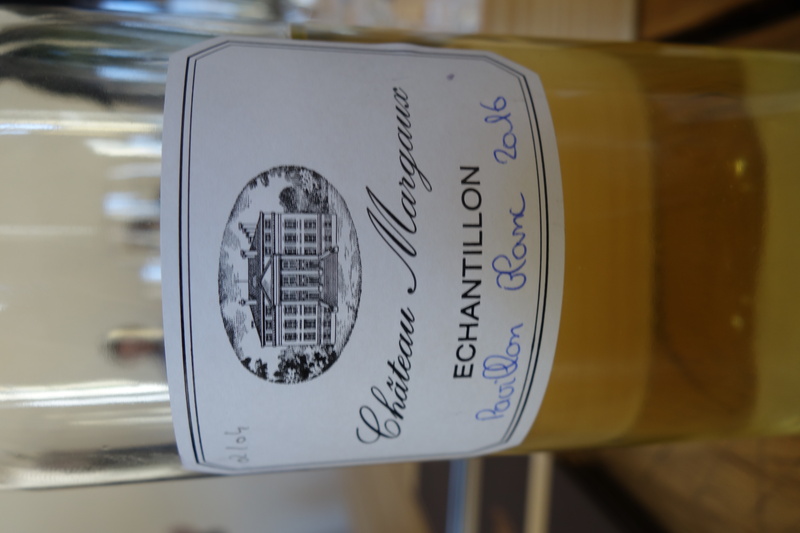 The nose is redolent of luscious ripe fruit with captivating earthy nuances, accompanied by notes of pencil shavings typical of this estate as well as other Pauillacs. This graphite quality comes through on the palate as well. The taste is thirst quenching and follows through flawlessly with liquorice, blackcurrant, and wildberry flavors. There is a beautiful silky texture that leads into a majestic aftertaste with extremely fine-grained tannin and candied black fruit nuances. 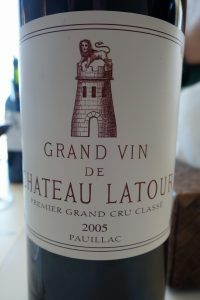 Last year, the 2000 Latour was poured and everyone was surprised how ready to drink it was. This 2005 is another kettle of fish. Give it another 10 years at least to make the most of it. 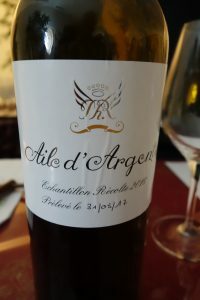 Très grand vin. 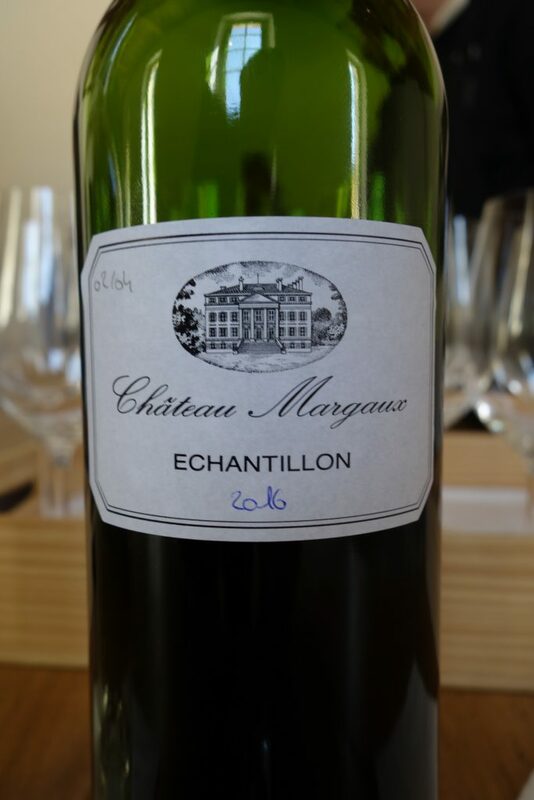 Posted in Tasting notes and tagged bdx16, Bordeaux, Médoc, Pauillac, primeurs2016, winelover on April 13, 2017 by AlexR. It was not quite the same to go to Château Margaux this year and not be greeted by Paul Pontalier. He was very special. Still, the show must go on… Philippe Bascaules, who worked with Monsieur Pontalier for over twenty years, had left Margaux to run Inglenook winery in the Napa Valley. He has since returned to Margaux as Managing Director while continuing to oversee winemaking at Inglenook. N: Sweet upfront fruit in minor mode at this stage. Trademark characteristics of the estate. Pretty and already forthcoming. Some pine and camphor nuances along with crushed blackcurrant leaves and blackcurrant fruit. P: Starts out rich, then seems a little thin. Some mintiness. A certain gumminess on the aftertaste rounds out the flavor profile. Great interplay between acidity and alcohol. Fresh, with spun-out aromatics. Fine-grained finish. Inherent softness hides significant tannin. Good length. N: Not worlds apart from the Pavillon Rouge. Once again sweet, but with a chocolatey element. Refined oak influence. P: Fresh and superbly balanced. More oak and a much longer finish than the Pavillon. Fairly massive for Margaux with a tarry, sweet, mellow aftertate. Obviously needs time to find more focus and definition, and will age for decades. N: Subtle nose of lemon and oak with a little waxiness as well as hints of butter and butterscotch. P: Fresh and oh-so-different from Pavillon Blanc of years ago. Much more lean and elegant. The round attack converges into a decided mineral, lemoney aftertaste with honey nuances. Very dry and appetizing. What the French call a vin de gastronomie because it will truly shine at table with fine cuisine. Still, the question to be asked is: how does it compare to a good Pessac-Léognac at a much lower price? 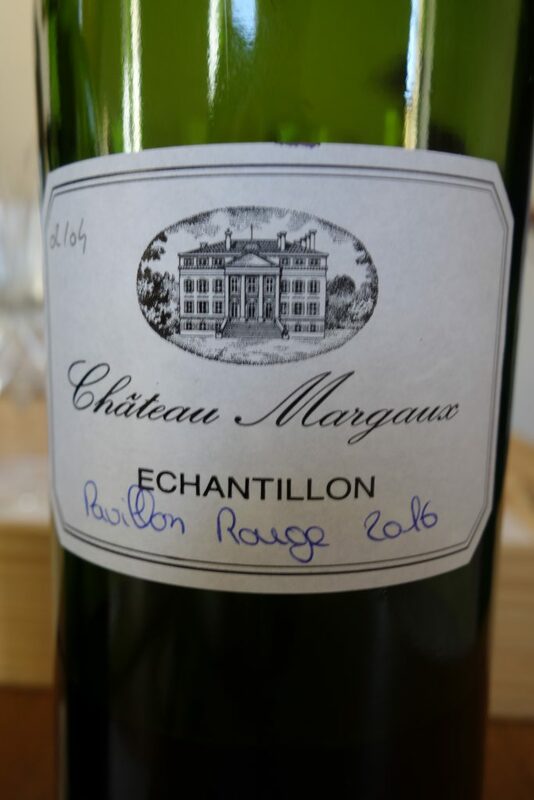 Posted in Tasting notes and tagged bdx16, Bordeaux, Margaux, Médoc on April 8, 2017 by AlexR.